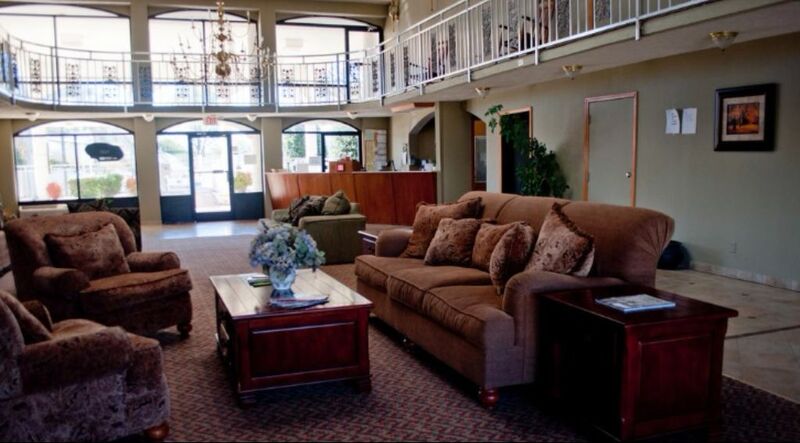 Americana Inn is snuggled in the tranquility of Henderson just 15 miles of south Jackson, TN. 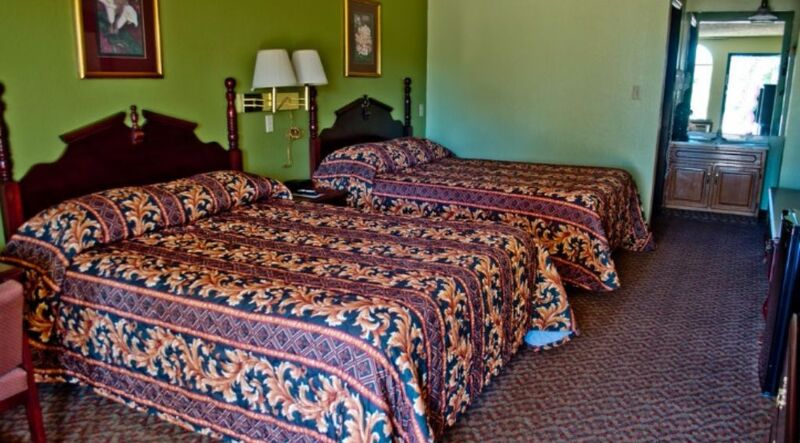 The motel is situated up on the hill enhancing its very majestic palatial look. Its serenity is conspicuous in spite of being close to the hustle and bustle of Jackson, TN. It has Freed-Hardeman University within the city limit of Henderson. The university gives jovial light feeling of ease. 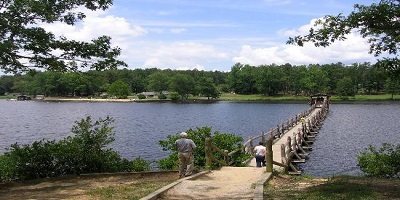 Chickasaw Park is 10 miles from the motel. The park is sprawled on 14,400 acres. 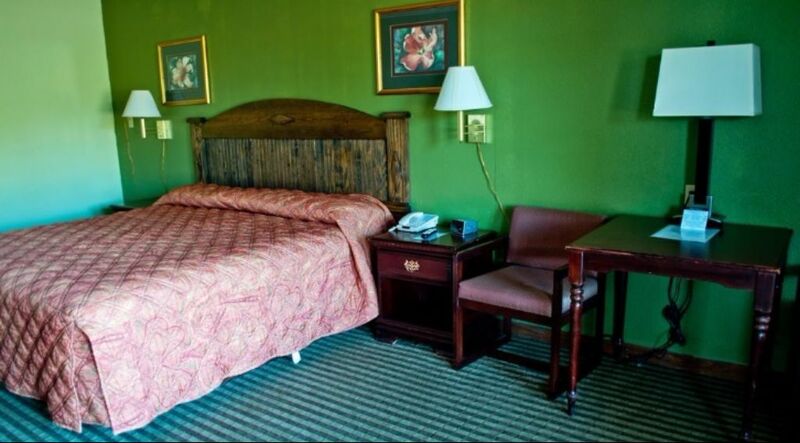 The niceties, quietness and cleverness minus hostility invite you to stay at our motel at reasonable rate. This property also has one of the top-rated locations in Henderson! Guests are happier about it compared to other properties in the area. This property is also rated for the best value in Henderson! Guests are getting more for their money when compared to other properties in this city. A microwave and small refrigerator are featured in all guest rooms. Americana Inn Henderson also includes a cable TV and hairdryer. Americana Inn Henderson offers the convenience of a 24-hour reception and fax and photocopying facilities. On-site vending machines are available as well. 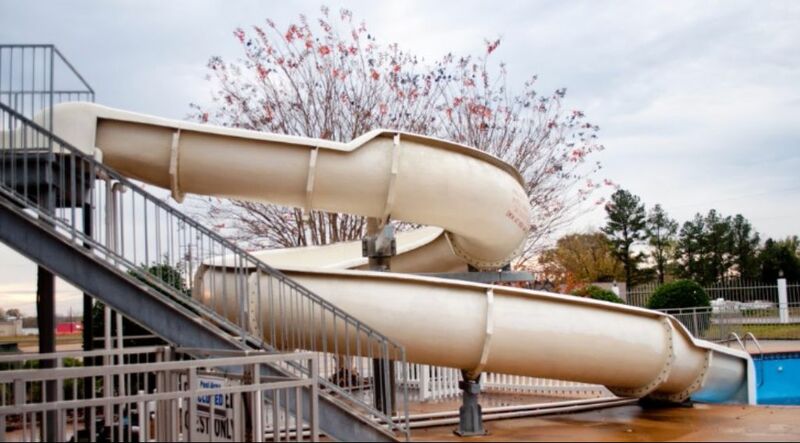 Located 14 miles from Chickasaw State Park, this Tennessee motel features an outdoor pool, daily continental breakfast, and free property-wide WiFi. 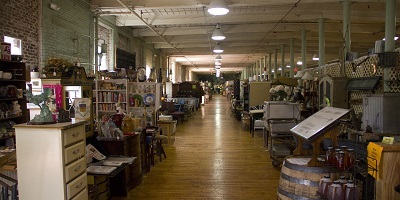 Located in the Historic Walton Mill, Ian Henderson's Antique Mall is a vast wonderland of Antiques, Vintage Items, and Unique Items. The gorgeous Antique Maple Hardwood Floors provide the perfect pathway to peruse the seemingly endless inventory offered by hundreds of HAPPY dealers. Whether it be Primitive Southern Antiques, Victorian Era Furniture, Mid-Century Modern pieces, Collectibles, or Just Unique Stuff, Ian Henderson's Antique Mall has what you are looking for at unbelievable prices. We currently operate 539 Dealer Booths offering 100,000 sq. ft. of Antiques, Collectibles, and Vintage Goods. Chickasaw State Park is a state park located in Chester County, Tennessee, in the Southeastern United States. The park consists of 1,280 acres amidst a 14,384 acres state forest, and includes Lake Placid and some of West Tennessee's highest areas. Challenging, exciting, rewarding, and tranquil are just a few words that describe this remarkable 18-hole Jack Nicklaus Signature Design Golf Course. Recognized as a 'great value', golfers immediately notice details that only the legendary golfer-turned-designer could deliver in this par 72 golf course; unlike any in the area from the layout to the breathtaking and natural setting--without a single home in sight. In addition to our amazing course, our log cabin-style clubhouse provides a comfortable place to relax and socialize before or after your round. You can enjoy refreshments in our dining area or relax on one of our couches around the beautiful stone fireplace. The favorite of most people is our large veranda overlooking the breathtaking view of the practice green. fairways, and lake. 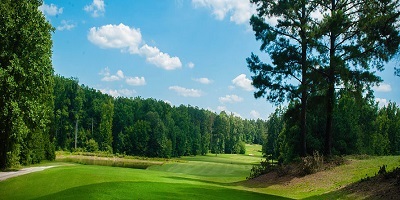 To top your day off, our friendly, helpful staff will make you feel welcome and do everything they can to ensure you have an enjoyable golfing experience. 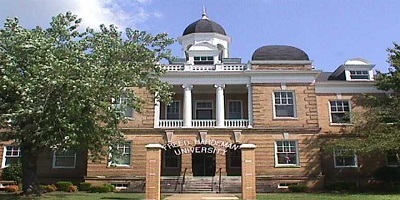 Freed–Hardeman University is a private university in Henderson, Tennessee. The university traces its heritage to the members of the Churches of Christ who helped build it. Freed-Hardeman is primarily undergraduate and residential, enrolling full-time students of traditional college age. The university also serves some commuting, part-time, and adult students on-campus and through distance-learning programs. The university offers a limited number of master's level graduate programs including Bible, Business, Counseling and Education. Arts, science, and professional degrees are conferred. The university is governed by a board of trustees, all of whom are required to be members of Churches of Christ. Courses are offered by 12 academic departments organized into six schools – Arts and Humanities, Biblical Studies, Business, Education, Sciences and Mathematics, and the Honors College.Freed-Hardeman offers European study abroad programs based out of the FHU facility in Verviers, Belgium during the fall and spring semesters. A study abroad and Spanish-language immersion program is offered in Madrid, Spain, during most summer semesters. Other opportunities include two and three week study programs in Israel, Costa Rica, New York City, and Stratford, Canada. All children are welcome. Free! Up to two children under 16 years stay free of charge when using existing beds. One older child or adult is charged USD 10 per person per night when using existing beds. One older child or adult is charged USD 10 per night in an extra bed. Cribs are not available. The maximum number of extra beds in a room is 1. Any type of extra bed or crib is upon request and needs to be confirmed by management. Additional fees are not calculated automatically in the total cost and will have to be paid for separately during your stay. 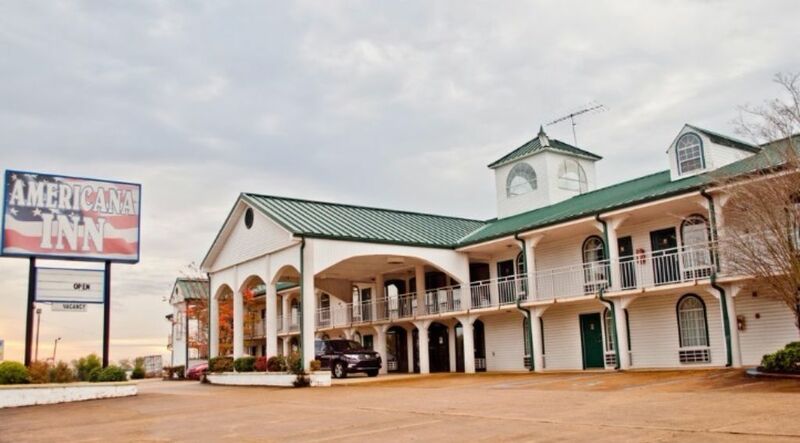 I took my grandkids on an overnight trip to Henderson and chose this hotel because it was near the Chickasaw State Park. When checking in, the nice lady at the front desk was nice. The price was extremely reasonable and the rooms were clean and well stocked with necessities. The kids loved the pool which has a huge water slide that I have never seen at any other small hotel. I would definitely state here again. A group of us medical students took a field trip to the nearby park and this hotel was the perfect location for us. Love the outdoors in the park with the hotel accommodations. Rooms were on the quiet side so we could group study as well and the manager was gracious to allow us the use of the meeting room for slide shows. Thank you again. We have stayed here many times. The rooms are clean and large and have a refrigerator in them. There is a continental breakfast available in the lobby and a grocery store and Pizza Hut just down the street. The staff have always been courteous and helpful, even when changing our reservation. We will continue to return! My wife and I stayed at the Americana Inn this past weekend. The room was large, clean and comfortable. The staff was friendly and very helpful. The breakfast was good and there was a good selection. My wife forgot and left a pair of boots in the room. I called when we found them missing, and the lady at the desk was very helpful. She said that she would see if she could find them. She called me in a few minutes and she had them at the front desk. We were able to return to Henderson and get the boots. I found the stay to be very comfortable and we enjoyed the night. I read some bad reviews about this hotel but I don't know why they were very disappointed. I stayed here 1 week and my stay was excellent even no complaints about services and staffs. They were such nice and gave the best hospitality to me. I would give this hotel to 5 stars or more, and in future will return again. Must visit and enjoy your excellent stay. Stayed at the Americana Inn for an overnight stay while traveling. First time at this location. Very friendly and helpful front desk greeted us upon arrival. We got a very nice room that was updated. The bed was also very comfortable. I would not hesitate to stay for a few days if I were on vacation. Very comfortable property. Loved the lighting in the night.......really looks like a palace from the highway. Very clean rooms and staff were pleasant and helpful. Look forward to going this summer and be a kid again on that pool slide. Amazing and super cool. We were able to return once again. This hotel was very nice and also staffs were very friendly and helpful. They guide us very well about the area and attractions. We were thankful to everyone for best hospitality. We enjoyed our stay very much. Thanks again! Loved the lighting in the night.......really looks like a palace from the highway. Very clean rooms and staff were pleasant and helpful. Look forward to going this summer and be a kid again on that pool slide. Small quiet town for a getaway.